My baby boy turned one this year! I had been planning his party for quite a while, since I had found the plates quite unexpectedly, and on sale too!!! I only paid R8 per set of plates and they were licenced Disney ones! The theme was Heffalump, one of the characters from Winnie the Pooh. Not too much around in this theme, so I went about creating it using colours, print outs, etc. 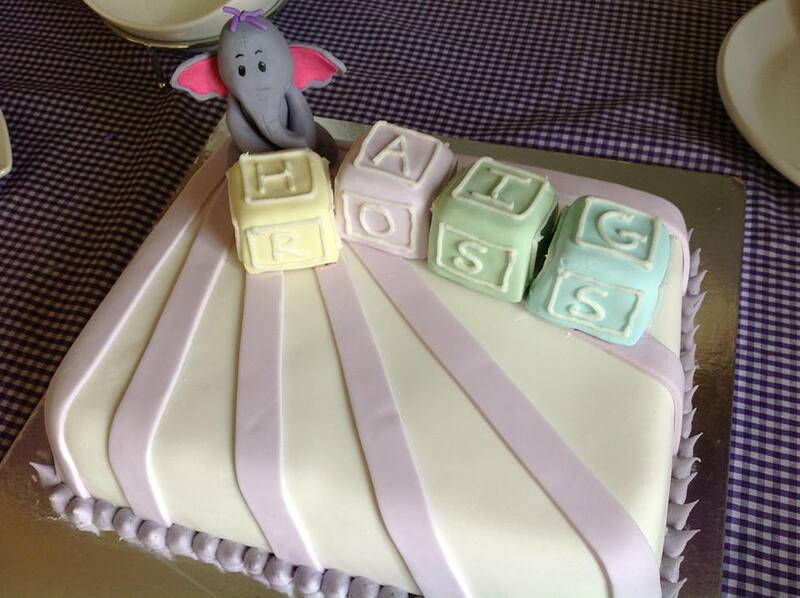 To create the theme, I chose to focus on the colour of Heffalump (purple/lilac). 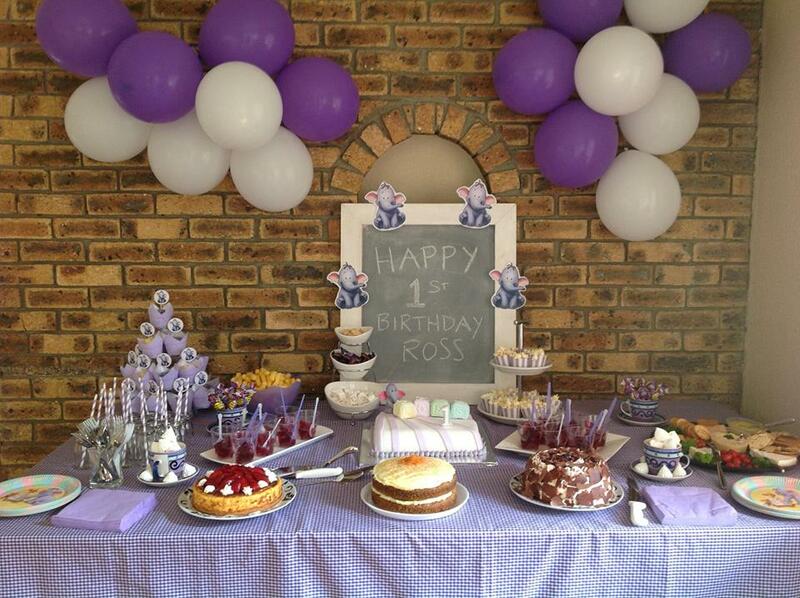 Easy to find gingham material from a local fabric shop (R30 per meter) and cheap lilac and white balloons were the starting point. For cupcakes, I just had cheap easy-to-make ones with lilac and white icing and sparkles on top. 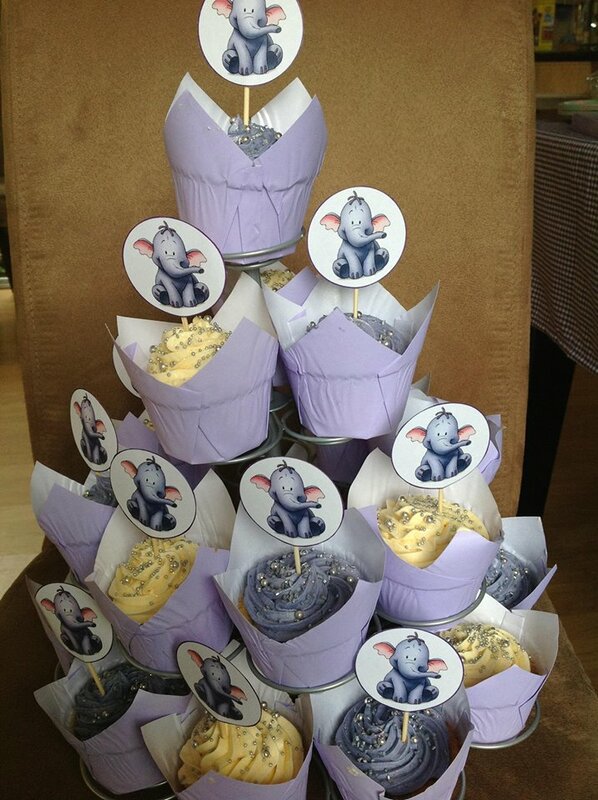 To create the theme I bought lilac cupcake wrappers (R20) and then made my own Heffalump cake toppers that I printed and stuck on toothpicks. And the effect worked. 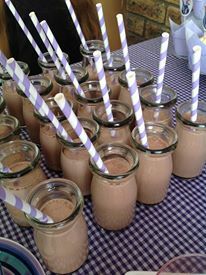 One of the things the kids loved at the party was the chocolate milkshakes. I had bought small glass milk bottles from Consol glass (R8 each) and made up some chocolate Nesquick for them. I bought the lilac striped straws (R35) to bring in the theme. 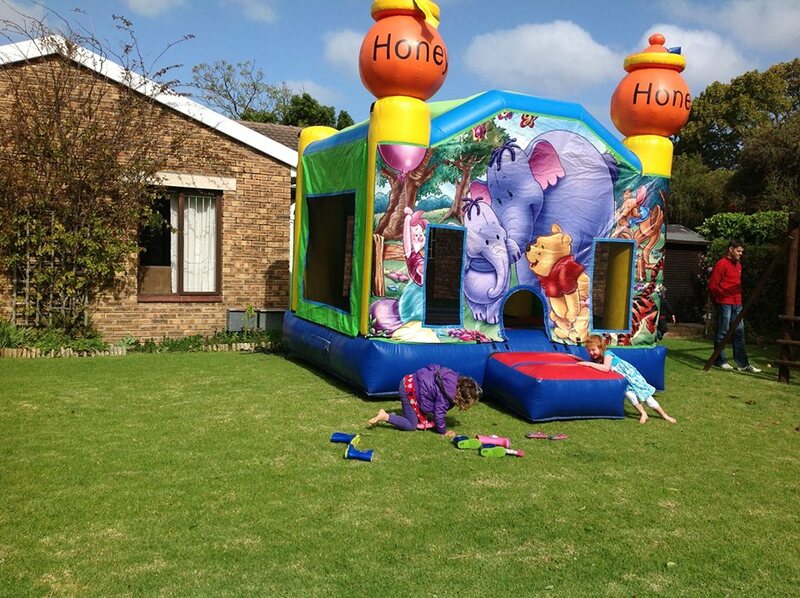 Because it was a One Year Old party, I didn’t want to fuss too much about entertainment, but I did want something for the older kids… I hired the perfectly themed jumping castle from one of our suppliers with Heffalump as the main image on the side! The cost of hiring was R450. So now that that party is over, I can start planning my daughter’s 4th birthday, a Peppa Pig princess party!